Celebrate your upcoming festival season with beauty and comfort wearing this brown patiala suit which has been made out of cotton blend fabric and detailed with eye catching print work in decorative pattern. 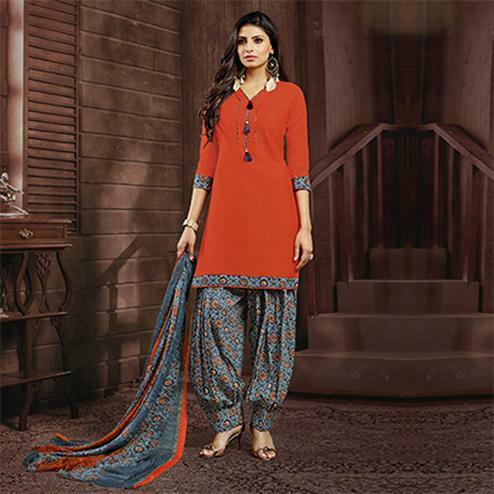 This patiala suit comes along with constast color poly cotton bottom and chiffon dupatta with attractive prints. Buy this lovely suit now before it goes out of stock.